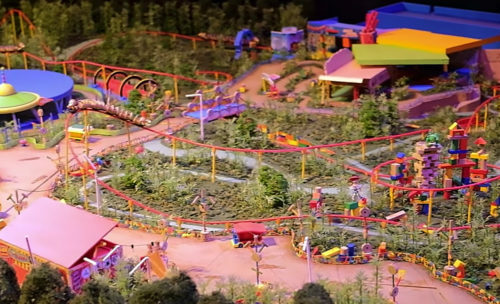 Last week Disney unveiled the Toy Story Land model at Disney’s Hollywood Studios. And because I am forever getting trapped into awkward situations, I had to contend with a hyper-friendly Cast Member who wanted to tell me all about it. If you’re reading this site, chances are you’re a reasonably informed Disney fan. You already know what Toy Story Land is. You’ve known about it for months. 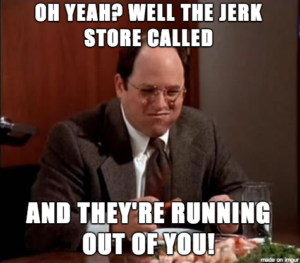 Now imagine making forced conversation with someone super-eager to share their rudimentary understanding of this sparse collection of off-the-shelf coaster parts and cloned flat rides, topped off with a “new” headliner attraction that was built in 2008. Imagine that this person cannot seem to take your monosyllabic hints as she rehashes all the excruciating details from a zillion D23 presentations and Disney Parks Blog articles. Imagine that she is determined to quiz you by having you point to Toy Story Mania on the model, just to prove that you really are a superfan who might have invented a nationally recognized theme park challenge, and not just some yokel from Iowa. Except the part about the timely, bitingly clever take-downs. So okay, I’m actually the weird one in this scenario. Yes, I know all about the Toy Story Land model. But 99% of the people in the park do not. When a Cast Member promises click-baity reveals about all the surprising things in the Toy Story Land model, they don’t really mean me. They mean surprising to normal people. Yay for backstory! Gosh, that Disney company sure does have an answer to everything. It’s this kind of attention to thematic detail that makes them rise above other amusement parks (like the one Andy just built). If Andy were a real live person, and if he really did build a toy fantasy amusement park in his backyard, it would look exactly like the Toy Story Land model. So before Toy Story Land is built, we’re seeing it how Andy would see it. But when we’re actually inside Toy Story Land, we’ll see it from the perspective of the toys, who function as adults in that world. The very act of viewing the Toy Story Land model and then experiencing Toy Story Land itself is a giant metaphor for growing up. Just look around the Toy Story Land model! There’s Buzz Lightyear and Woody and Jesse. There’s Rex and Mr. Potato Head. Some green aliens. Oh, and a perennial background character with less than 30 lines of dialog gets his own rollercoaster. Due to the insane backstory, there are no characters from Toy Story 3. We thought Pandora was crazy, with its maddening but consistent timeline, which puts the theme park land several decades after the movie takes place — which is why you see the decaying buildings of the RDA in the queue for Avatar Flight of Passage and wacky tour company acronyms on the trashcans. 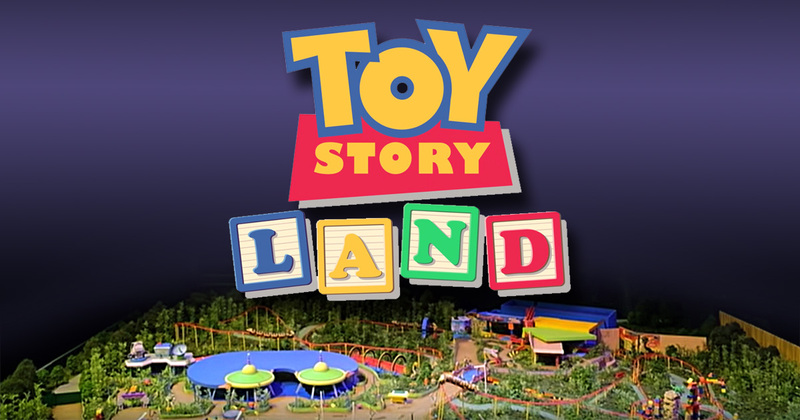 The timeline of the Toy Story Land model clearly takes place after Toy Story 2, since Jesse makes an appearance. But Lots-o-Huggin Bear, Dolly, Trixie, and Mr. Pricklepants aren’t in the picture. That’s because by the time Toy Story 3 happened, Andy was heading off to college. I don’t know about you, but I don’t know too many college kids who spend time building fantasy toy amusement parks in their backyards. Other than me, of course. If you’re going to have a Slinky Dog Dash coaster, you need a plausible explanation for how Andy created it. Enter the Dodge and Dash Coaster Kit, seen in the Toy Story Land model. This is presumably an actual toy which Andy bought to allow him to build roller coaster tracks in his backyard. In typical toy company fashion, the trains must be sold separately. And that hand-drawn ride sign… Andy, you’re 12 now. Don’t you know how to make a capital N? So many toy companies are specializing in build-your-own-amusement-park items. Let’s not forget that before Andy bought his coaster kit, he also bought a Midway Games playset, in which his toys got to play the part of seedy carnival barkers for rigged games of chance. It’s a lucrative market in Andy’s world. He can just buy whatever amusement park feature he needs from the local Toys R Us. 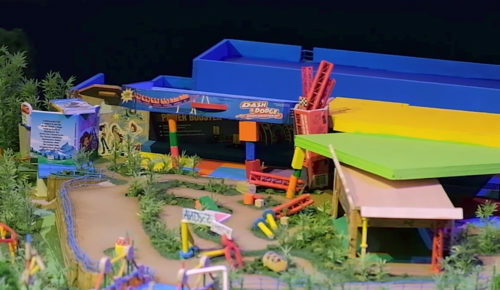 I’m surprised the Toy Story Land model doesn’t contain an Overpriced Mediocre Burger playset and a blister-pack of “FastPass Terminal” accessories. And maybe “Baby’s First Dining Reservation Kiosk” by Playskool. Where were all these amusement park playsets when I was growing up? There was no such thing as a coaster kit, let alone some obscure tiny midway booths. 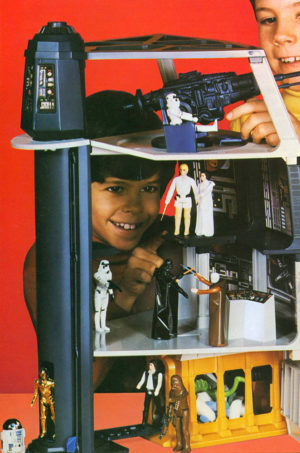 When normal kids like me wanted to build amusement parks in our backyard, we had to make due with the Death Star. It makes a great Spaceship Earth. Andy built it using whatever he had available. Not just his off-the-shelf coaster kits and his direct-purchased Midway Games playsets, but also his Jenga blocks, his cardboard boxes, and his Barrel of Monkeys. It looks exactly like some kid threw it together in his backyard. Andy sure has a lot of Tinker Toys for a 12-year-old. This entry was posted in Disney Theme Park News and Rumors and tagged Disney's Hollywood Studios, Slinky Dog Dash, Toy Story Land, Toy Story Midway Mania. Bookmark the permalink. I don’t know if you are familiar with the “Mr. Plinkett” character who does reviews for Star Wars, Star Trek, and other (mostly bad) movies, but I read this review in his voice. He’s a demented fool who actually comes up with amazingly accurate insights about things (sounds like two guys I know!). 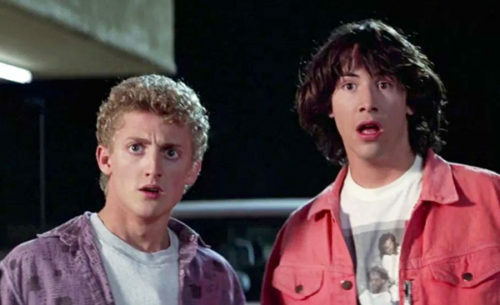 Loved this article, keep rockin’ out the geeky Disney trivia. I have watched every single Plinkett review of the Star Wars movies and most of his other ones too. Maybe I was channeling him without knowing it. But I’m going to go back and re-read my article in his voice, because that sounds like a hilarious way to spend my afternoon. Have you seen Red Letter Media’s other video series Half In The Bag and best of The Worst? Definitely check out Best of The Worst at least. Ha ha, YES! Just saw your reply now. Here’s hoping now that “Last Jedi” is out on DVD, we’ll have a new Plinkett review soon. I can’t tell from the map, but where is the merchandise store (I assume you have to walk through it when you exit the roller coaster) and the multiple merchandise kiosks scattered throughout the land? I dare you to make a couple of tiny figures wearing orange caps and sneak them into the model. Have Ted come out there so one of you can provide a distraction. That would be awesome. This is a funny idea. If the model were not behind glass, I would be very tempted to do it.